We’re really happy that Eurovis 2014 will be held in Swansea, hosted by the Visual Computing group. 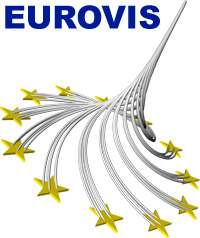 This entry was posted in Eurovis and tagged Eurovis on October 22, 2012 by Mark. Today real-time sports performance analysis is a crucial aspect of matches in many major sports. For example, in soccer and rugby, team analysts may annotate videos during the matches by tagging specific actions and events, which typically result in some summary statistics and a large spreadsheet of recorded actions and events. To a coach, the summary statistics (e.g., the percentage of ball possession) lacks sufficient details, while reading the spreadsheet is time-consuming and making decisions based on the spreadsheet in real-time is thereby impossible. In this paper, we present a visualization solution to the current problem in real-time sports performance analysis. We adopt a glyph-based visual design to enable coaching staff and analysts to visualize actions and events “at a glance”. We discuss the relative merits of metaphoric glyphs in comparison with other types of glyph designs in this particular application. We describe an algorithm for managing the glyph layout at different spatial scales in interactive visualization. 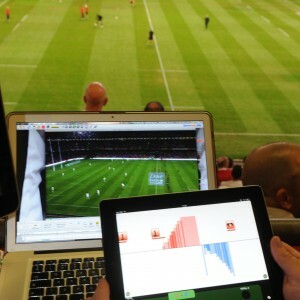 We demonstrate the use of this technical approach through its application in rugby, for which we delivered the visualization software, MatchPad, on a tablet computer. The MatchPad was used by the Welsh Rugby Union during the Rugby World Cup 2011. It successfully helped coaching staff and team analysts to examine actions and events in detail whilst maintaining a clear overview of the match, and assisted in their decision making during the matches. It also allows coaches to convey crucial information back to the players in a visually-engaging manner to help improve their performance. Phil A. Legg, David H. S. Chung, Matthew L. Parry, Mark W. Jones, Rhys Long, Iwan W. Griffiths and Min Chen. This entry was posted in Eurovis, Publication and tagged CGF, Eurovis, Journal paper, Sports Visualization, Visualization on June 5, 2012 by Mark. Parallel coordinates is one of the most popular and widely used visualization techniques for large, high dimensional data. Often, data attributes are visualized on individual axes with polylines joining them. However, some data attributes are more naturally represented with a spherical coordinate system. We present a novel coupling of parallel coordinates with spherical coordinates, enabling the visualization of vector and multi-dimensional data. The spherical plot is integrated as if it is an axis in the parallel coordinate visualization. This hybrid visualization benefits from enhanced visual perception, representing vector data in a more natural spatial domain and also reducing the number of parallel axis within the parallel coordinates plot. This raises several challenges which we discuss and provide solutions to, such as, visual clutter caused by over plotting and the computational complexity of visualizing large abstract, time-dependent data. 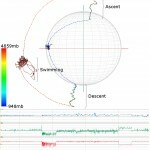 We demonstrate the results of our work-in-progress visualization technique using biological animal tracking data of a large, multi-dimensional, time-dependent nature, consisting of tri-axial accelerometry samples as well as several additional attributes. 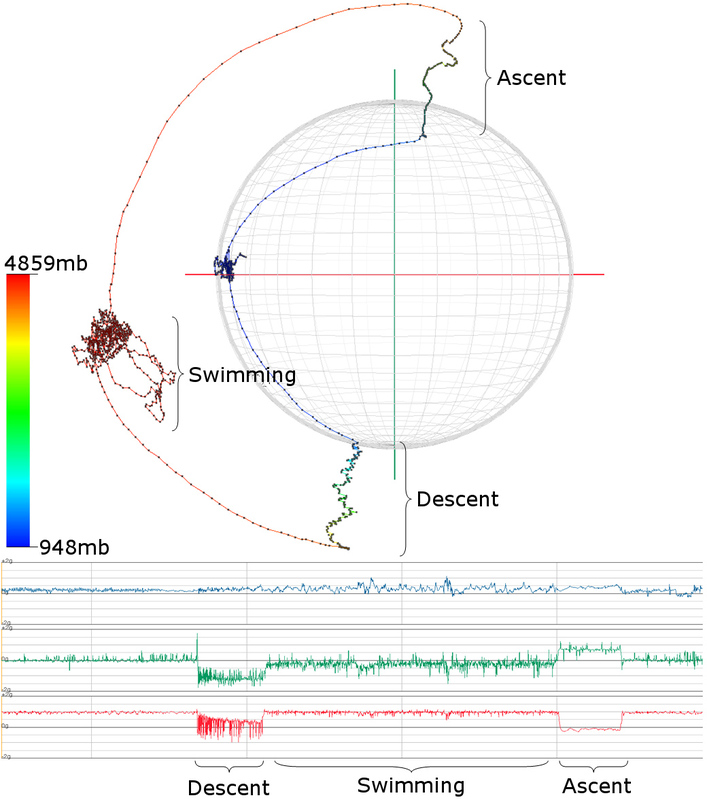 In order to understand marine wildlife behavior, the acceleration vector is reconstructed in spherical coordinates and visualized alongside with the other data attributes to enable exploration, analysis and presentation of marine wildlife behavior. James Walker, Zhao Geng, Mark W. Jones, Robert S. Laramee. This entry was posted in Eurovis, Publication and tagged Biology, Conference paper, Eurovis, Visualization on June 5, 2012 by Mark. 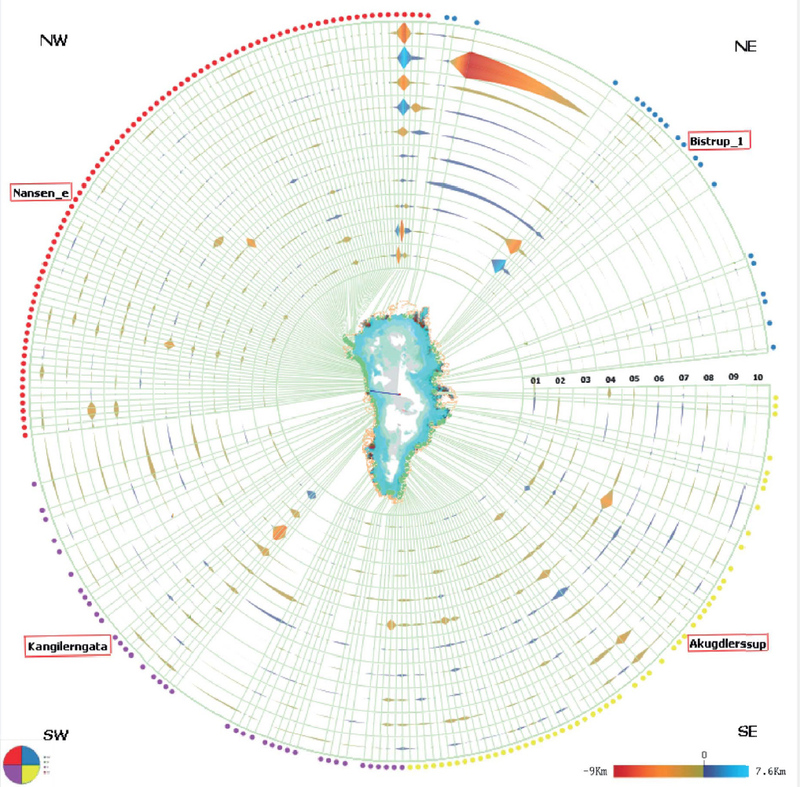 This work is concerned with a design study by an interdisciplinary team on visualizing a 10-year record of seasonal and inter-annual changes in frontal position (advance/retreat) of nearly 200 marine terminating glaciers in Greenland. Whilst the spatiotemporal nature of the raw data presents a challenge to develop a compact and intuitive visual design, the focus on coastal boundaries provides an opportunity for dimensional reduction. In this paper, we report the user-centered design process carried out by the team, and present several visual encoding schemes that have met the requirements including compactness, intuitiveness, and ability to depict temporal changes and spatial relations. In particular, we designed a family of radial visualization, where radial lines correspond to different coastal locations, and nested rings represent the evolution of the temporal dimension from inner to outer circles. We developed an algorithm for mapping glacier terminus positions from Cartesian coordinates to angular coordinates. Instead of a naive uniform mapping, the algorithm maintains consistent spatial perception of the visually-sensitive geographical references between their Cartesian and angular coordinates, and distributes other termini positions between primary locations based on coastal distance. This work has provided a useful solution to address the problem of inaccuracy in change evaluation based on pixel-based visualization [BPC10]. Y. Drocourt, R. Borgo, K. Scharrer, T. Murray, S.I. Bevan, M. Chen. Computer Graphics Forum Intl. Journal, volume 30, number 3, year 2011, pp. 981-990, presented also at EuroVis Conference 2011, May 31-June 3, Bergen, Norway. This entry was posted in Computer Graphics Forum, Eurovis, Publication and tagged CGF, Eurovis, Journal paper, Visualization on May 31, 2011 by Mark. A new area of biological research is identifying and grouping patterns of behaviour in wild animals by analysing data obtained through the attachment of tri-axial accelerometers. As these recording devices become smaller and less expensive their use has increased. Currently acceleration data are visualised as 2D time series plots, and analyses are based on summary statistics and the application of Fourier transforms. 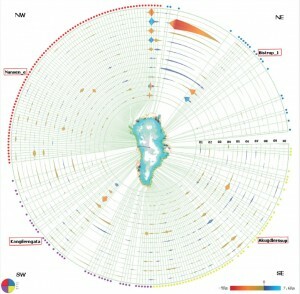 We develop alternate visualisations of this data so as to analyse, explore and present new patterns of animal behaviour. Our visualisations include interactive spherical scatterplots, spherical histograms, clustering methods, and feature-based state diagrams of the data. We study the application of these visualisation methods to accelerometry data from animal movement. The reaction of biologists to these visualisations is also reported. This entry was posted in Eurovis, Publication and tagged Biology, Eurovis, Journal paper, Visualization on June 10, 2009 by Mark.